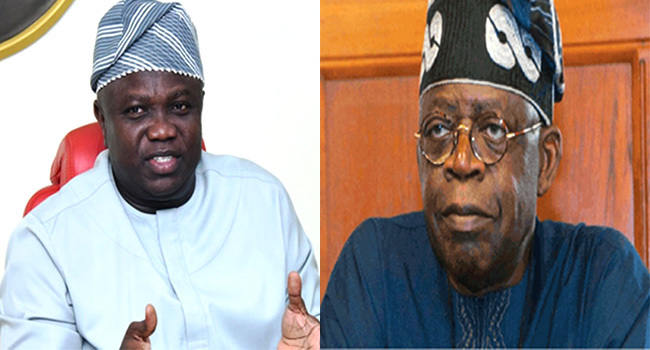 There had been reports of a major rift between Tinubu and Governor Ambode over an alleged disagreement on the second term bid of the Governor. “I want you to know that there is no fight anywhere. The National Leader, Bola Ahmed Tinubu and my good self we are not in any fight, we are not in any controversy. “We are praying to God that the best is yet to come and the best will be what Lagos State deserves and I want you to just continue with your prayers that at this time, God will show His hand and make sure that everything that is of blessing to Lagos State and also blessing of Epe will come to pass,” Governor Ambode said. He commended all the leaders and members of the party who contributed to the success of the delegates’ election in Epe, saying APC remained the party to vote for. “We have just concluded our Delegates’ Election in Epe Local Government and by consensus, we have picked our three delegates that will be going to the National Convention come October 6 for the Presidential direct primaries and the convention for all other people. “I want to say a very big thank you to all our delegates that are present here; I want to say a big thank you to all our leaders that have also supported us to make sure that this event has come and is done very successfully. “I want to reiterate once again that our party, All Progressives Congress (APC) remains the party to vote for; we are the party at the national level and we are going to remain the party in the State,” the Governor added. The party leaders and faithful in the division also took turns to affirm their unalloyed support for the second term bid of the Governor. Youths in the division also staged a peaceful protest displaying placards of various inscriptions to affirm their support for the Governor’s second term bid.